Google has made a change where Google’s regular Product Listing Ads (aka Shopping Ads) are showing at the top of the search results in carousel format. Google has made this change to searchers in the US, although it is likely international as well, for those that have shopping ads in their country. Google showing a carousel at the top is pretty significant for searchers, advertisers and SEOs. This is a change from the static 4-5 non-scrolling ad units that normally show. 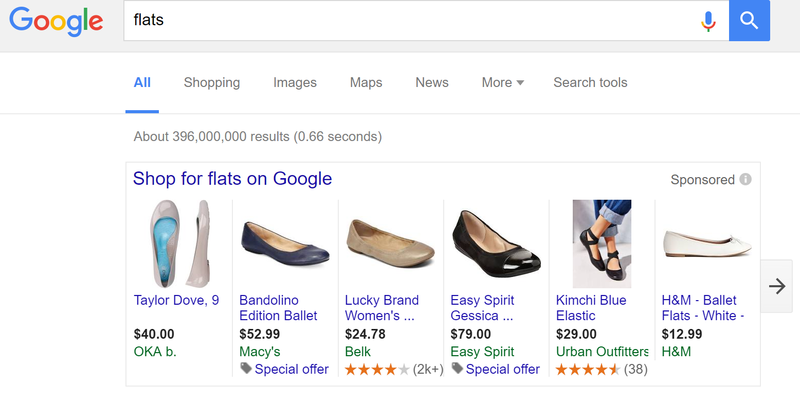 The view all takes the searcher to the full Google Shopping page for the results. I have checked with multiple people around the US who are all seeing this change, both while signed in and while incognito. I checked Google.ca and Google.co.uk and they are both showing carousels as well, but with US products from geotargeting, so it is hard to say if they are also included in the change. Google has still kept their usual right side PLAs, so they haven’t removed those with this carousel change. When the PLAs appear in the right hand side of the page, with two rows of results, those are not in carousels style but keep the sames static look. Google has tested this previously, but with a much different style. For advertisers in the shopping ads, this gives their products the opportunity to show above the search results, even if they wouldn’t have normally been displayed in the old non-scrolling style. It remains to be seen if users actually scroll through them, though. From an SEO perspective, this doesn’t take up any more real estate on the page, so it shouldn’t affect organic CTRs much, if at all. Now, this isn’t a surprise at all. 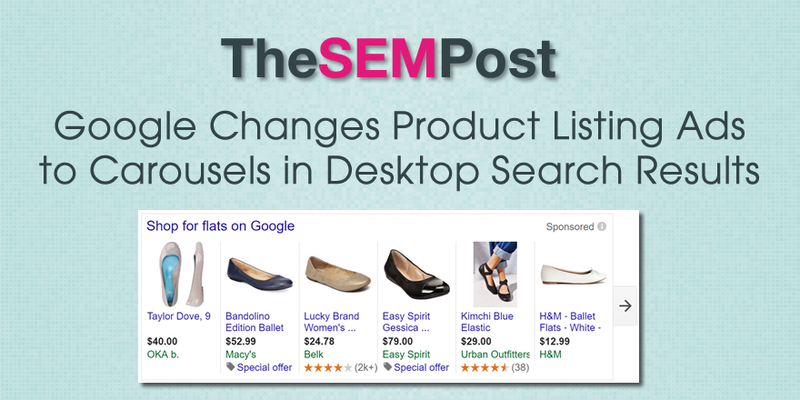 Google tested carousels on desktop not just for PLAs but for many of their products. And we know Google is slowly transitioning their desktop results to more closely match the style of mobile results, so this makes sense for Google to change PLAs to carousels too. I have reached out to Google for more information. Google Spain is also showing carousels. I know these are early changes, but have you seen any changes to Text Ad campaigns in terms off impressions and CTR? Since some of these PLA results are pushing down Text ads below organic listings, the impact could be a much greater hit to these campaigns, causing CTR to plummet. Thanks! They aren’t actually taking up any more real estate in the serps. It is just a change to make it scroll sideways.